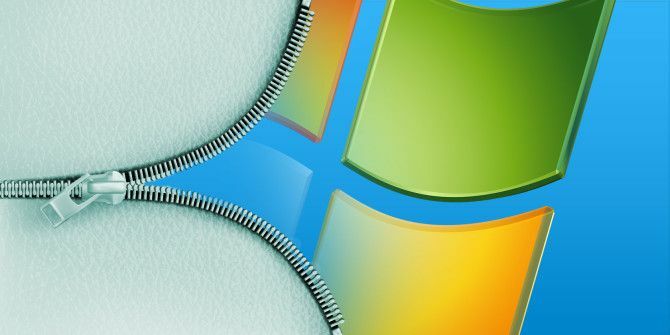 While Windows 7 and 8/8.1 aren’t brand-new, they do offer a lot of cool features Microsoft Windows 7: The 7 Most Noticeable New Features Microsoft Windows 7: The 7 Most Noticeable New Features Read More that are noticeable right away. From Windows staples like the Taskbar and Windows Explorer to the new Start screen and modern tiles, Windows is constantly evolving with new goodies to try. However, not everything useful in the operating system will jump out at you. As Ryan has discussed, years after release there are Windows 7 features you might have missed 5 Windows 7 Features You Didn't Know Existed 5 Windows 7 Features You Didn't Know Existed Windows 7 contains many little-known features. Here we highlight the more impressive ones that could boost your productivity and deepen your love for Windows 7. Read More ; today we’re going to dedicate some time to looking at the under-appreciated tools Windows 7 and 8/8.1 have to offer. While these might not be unknown or hidden, they just don’t always get the praise they deserve. Calculators aren’t really anything new or special these days–heck, you can even use Google as a powerful calculator How To Use Google As A Calculator How To Use Google As A Calculator Read More –but the Windows calculator still includes some nice features that most people overlook. Aside from the basic four-function calculations, it also includes a “programmer” mode useful for counting binary numbers or calculating in hexadecimal (a great choice for those studying computer science Learning Computer Science? Tag Some Video Tutorials On Teaching Tree Learning Computer Science? Tag Some Video Tutorials On Teaching Tree Learning with the help of massive open online courses or YouTube videos has one slight problem -- there isn't anyone around to help you take shortcuts to the precise concept. You wade in and flounder... Read More ). Another cool function is the ability to convert units of time, power, pressure, temperature, and other common measurements to different systems. Want to find out how many days until Christmas, your birthday, or the end of school? Don’t let Mac users have all the fun with their OS X dashboard countdown widget Know How Long It Is Till Something Using The Dashboard Countdown Widget [Mac OSX] Know How Long It Is Till Something Using The Dashboard Countdown Widget [Mac OSX] Always know exactly how long it is until...something. The countdown dashboard widget for Mac is a fun way to obsessively keep track of the exact seconds until the greatest events in your life – or... Read More –the Calculator allows you to punch in two dates and see just how long you’ll have to wait. Finally, you also get a few forms you can fill out to calculate your mortgage payments, car lease per month, or your vehicle’s fuel economy. It’s not the type of functionality that you’ll need every day, and there are certainly more powerful calculator alternatives for Windows 5 Free Calculator Apps If You Aren't Happy With The Windows Calculator 5 Free Calculator Apps If You Aren't Happy With The Windows Calculator Read More , but for a built-in tool, the Calculator packs a punch. The Windows key is used many times in the plethora of keyboard shortcuts available in Windows Windows Keyboard Shortcuts 101: The Ultimate Guide Windows Keyboard Shortcuts 101: The Ultimate Guide Keyboard shortcuts can save you hours of time. 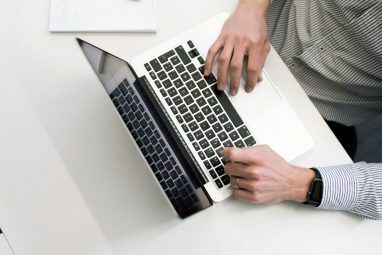 Master the universal Windows keyboard shortcuts, keyboard tricks for specific programs, and a few other tips to speed up your work. Read More , but many people don’t seem to take advantage of Win + X. On laptops running most editions of Windows 7 Windows 7 Editions Explained In Simple Terms Windows 7 Editions Explained In Simple Terms Read More , the combination launches the Windows Mobility Center One Windows Tool To Get Instant Access To All Your Hardware Controls One Windows Tool To Get Instant Access To All Your Hardware Controls Seeing how useful this tool is, it's shockingly fameless. I'm talking about the Windows Mobility Center. Say what? See what I mean! Read More , a utility that collects actions you might want to perform on a laptop all in one place. Need to change your power plan, disconnect from wireless, or brighten up your screen? You can do them all in seconds with this tool. For those on Windows 8/8.1 or 10, the shortcut does something a little different; you’ll get a menu most people refer to as the “Power User Menu” or something similar. Instead of being focused on laptop users, this menu seeks to fill the gap of the missing Start menu 8 Features Missing in Windows 8 and How to Get Them Back 8 Features Missing in Windows 8 and How to Get Them Back Microsoft removed a variety of features from Windows 8. Many of them aren't great losses to most people, but they are if you depended on them. Luckily, Windows 8 isn't yet a locked-down mobile operating... Read More on Windows 8/8.1 and gives you quick access to all sorts of pages and links. It’s useful on its own, especially if you haven’t installed a Start menu replacement Start Menu, How I Miss Thee: 4 Ways To Make A Start Menu On Windows 8 Start Menu, How I Miss Thee: 4 Ways To Make A Start Menu On Windows 8 Windows 8 brought down the axe on the Start Menu. This is a feature that no one paid special attention to for years but its untimely demise has caused all sorts of despair. Not only... Read More yet, but beefing it up with Win + X Menu Editor 8 Ways To Improve Windows 8 With Win+X Menu Editor 8 Ways To Improve Windows 8 With Win+X Menu Editor Windows 8 contains an almost hidden feature you need to know about! Press Windows Key + X or right-click at the bottom-left corner of your screen to open a menu you can now customize. Read More will make it essential. The Control Panel might not be the most exciting part of the computer, but if you need to tweak some settings or find out information about your system, it’s the place to be and doesn’t require any advanced technical knowledge. Tina has explained all about the Control Panel Unlock Windows Potential: Control Panel Demystified Unlock Windows Potential: Control Panel Demystified If you want to be the master of your Windows experience, the Control Panel is where it's at. We untangle the complexity of this power tool. Read More if you’re not sure what to think of it. In short, any time you need to uninstall a program 4 Steps To Completely Remove Troublesome Or Bad Software [Windows] 4 Steps To Completely Remove Troublesome Or Bad Software [Windows] We’ve all had that one program that no matter what we’ve tried, it wouldn’t go away. Or perhaps you didn’t even know what to try and thought you were simply stuck with this annoying program... Read More (perhaps a junk toolbar 4 Annoying Browser Toolbars and How to Get Rid of Them 4 Annoying Browser Toolbars and How to Get Rid of Them Browser toolbars just don't seem to go away. Let's look at some common nuisances and detail how to remove them. Read More ), edit your firewall 3 Things You Should Know About Your Windows 7 Firewall 3 Things You Should Know About Your Windows 7 Firewall The Windows 7 Firewall is software that controls your network traffic. Its default behavior is to allow outbound traffic and deny inbound traffic. Most programs that require a change from the default settings however, can... Read More , modify your default programs, change how your mouse and keyboard work, or get help troubleshooting, the Control Panel is the place to perform all these actions. Note that in Windows 10, the Control Panel will be replaced by the Settings app. Press Windows key + I to launch it. Most Windows users are familiar with the Windows tTaskbar, which got a big update in Windows 7 The Best Windows 7 Feature: The Taskbar The Best Windows 7 Feature: The Taskbar Read More . However, included on the right side of the Taskbar is the System Tray (or Notification Area, if you prefer), a collection of icons that represent running programs on your computer. The icons vary depending on what the program allows for, and some are quite useful right out of the box. 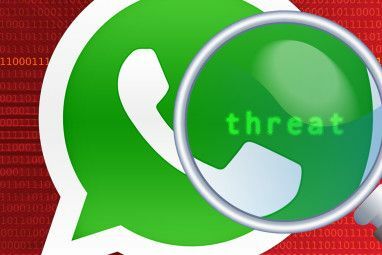 For instance, your antivirus program Free Anti-Virus Comparison: 5 Popular Choices Go Toe-To-Toe Free Anti-Virus Comparison: 5 Popular Choices Go Toe-To-Toe What is the best free antivirus? This is among the most common questions we receive at MakeUseOf. People want to be protected, but they don’t want to have to pay a yearly fee or use... Read More probably pops up to warn you of any threats it finds, and Dropbox can send a notification to let you know that a file in your account was changed. Like most Windows features, its standard capabilities can be greatly expanded. If you’re finding the area is becoming too cluttered or constantly notifying you with messages, in just a few minutes you can clean up the system tray Manage And Tidy The Windows 7 System Tray Manage And Tidy The Windows 7 System Tray Every Windows user has seen the Windows system tray (also known as the notification area) become cluttered over time. We’ve covered disabling distracting desktop notifications in the past, but what if the icons themselves are... Read More . Even better, you can add functionality to the system tray Spice Up The Windows System Tray With These 9 Clever Features Spice Up The Windows System Tray With These 9 Clever Features The system tray is perhaps one of the most undervalued features of the Windows taskbar. The icons represent running programs or system functions you can manipulate. We'll show you additional options you can add. Read More with Mark’s list of the best programs to add. Once you’re done fancying up your System Tray, add all sorts of new features to your Taskbar Get More Out Of The Windows Taskbar with 7+ Taskbar Tweaker Get More Out Of The Windows Taskbar with 7+ Taskbar Tweaker Could the Windows Taskbar be more useful? You can quickly add features and keep things simple with 7+ Taskbar Tweaker. Customize your Taskbar to your needs - without the fluff. Read More with 7+ Taskbar Tweaker and that bar at the bottom of your screen will be more useful than ever! The Run menu has sort of fallen behind in modern versions of Windows; you can still add it to the Start Menu, but it isn’t front and center like it used to be in Windows XP and earlier. This is mainly due to Windows search being greatly improved in 7 Top 7 Windows Search Tricks Used by Pro Users Top 7 Windows Search Tricks Used by Pro Users Read More and above, but the Run dialogue is still useful if you know how to use it. Most Windows users never use the Command Prompt, as it appears to be a scary tool used only by experts. While it is an antiquated piece of software that has largely been replaced by user interface options, the ol’ command line still has some tricks up its sleeve. Again, we have a beginner’s guide to the Command Prompt A Beginner's Guide To The Windows Command Line A Beginner's Guide To The Windows Command Line The command line lets you communicate directly with your computer and instruct it to perform various tasks. 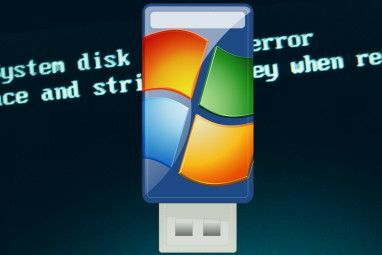 Read More to read through if you’d like to learn about it, and once you’ve mastered the basics it’s worth picking up the essential commands all users should know 15 CMD Commands Every Windows User Should Know 15 CMD Commands Every Windows User Should Know The command prompt is still a powerful Windows tool. Here are the most useful CMD commands every Windows user needs to know. Read More . Don’t think the Command Prompt is out for good, either–Windows 10 is bringing all-new functionality that will make it easier than ever to use. We all have our favorite features on Windows, but sometimes it’s good to remember what else is around, too. While you might not use all these tools, now is a perfect time to see what you’ve missed! Windows is an adaptable OS and you can choose to take it as it comes or tweak its features all you like. Hungry for more Windows goodness? Microsoft took your suggestions for new Windows 10 features Want New Windows Features? Share Your Ideas With Microsoft & Vote Want New Windows Features? Share Your Ideas With Microsoft & Vote Microsoft wants to know what you would like Windows to look like! Propose and review Windows features to shape the next version of Windows. Read More , and the big launch is almost here! Read everything you should know about Windows 10 When Does Windows 10 Come Out, How Can You Get It & What Happens to the Technical Preview? When Does Windows 10 Come Out, How Can You Get It & What Happens to the Technical Preview? Windows 10 is coming soon. Still confused about how the upgrade will work and wondering about the timeline? We have some answers, although more questions remain. Read More and how you can claim your copy so you’re ready to go Get Windows 10: It's Not a Virus! Get Windows 10: It's Not a Virus! The Get Windows 10 icon in your system tray is not a virus. It's Microsoft's official upgrade note prior to the official release of Windows 10 on July 29th, 2015. Read More ! What’s your favorite under-appreciated feature of Windows? Will you give any of these tools a try after reading about them? Leave a comment and tell us what you think! Explore more about: Calculator, Command Prompt, Windows 10, Windows Search, Windows Taskbar. I have Win7 and my calculator looks just like all the older Windows' calculators. I have a screenshot but I can't attach it. One error in your article. windows 10 WILL have control panel, just annoying to get to. one way to get to it, in the search type printers and it will take you to control panel. Not having Windows key + X is my least favorite thing about Windows 7. 1. Powershell. Do everything from a highly scriptable prompt. 2. Problem Steps Recorder. It makes a zipped .MHT file that a user can annotate and email, but it's also insanely useful for making documentation. 4. Pinned and favorite folders in Windows Explorer. 5. If you have a relatively new Windows Server: Storage Spaces. I like having double parity, SSD-tiered, deduplicated disk arrays. Desktop Windows has Storage Spaces as well, but they're missing most of the cool features. 6. Easy Transfer. I can't believe how many people don't know how easy it is to move stuff to a new PC. 9. Robocopy. No, it's not rsync, but it's close enough most of the time. 10. dfs. Still not rsync, but in some ways it's better (and it's another Server thing). Favorite functions are shortcut keys and X Windows. You can assign a hotkeys to the calculator and several other programs, like Notepad, Wordpad etc. and not use the menus. And yet the calculator still requires going to a menu and selecting a function instead of putting the calculators behind tabs at a minimum. And has an odd tape. And yet the calculator still requires going to a menu and selecting a function instead of putting the calculators behind tabs at a minimum.